By harrisonca on July 24th, 2009 . Filed under: Announcements, Contests, News . Guinness World Records certified a 150+lb cupcake made by JodiLee Knops, cakes.com pastry chef, as the world’s largest cupcake at an event at Mall of America in Bloomington, MN. The cupcake measured one foot by two feet and weighed in at 150.7lb. 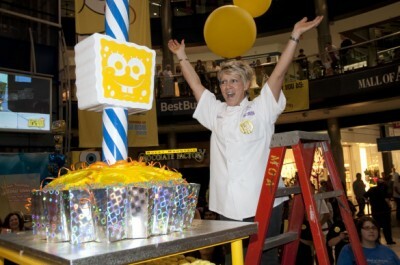 Filled with fudge and topped with SpongeBob yellow icing, the cake contained 1500 servings. Your piece is what I would call food for the heart. It makes me think about the topic all the time. It is something worth recalling.